Michael Crichton may be the author responsible for some of the most beloved and iconic science fiction on shelves today, but for some reason, his work hasn’t always weathered the jump to screen very well. While Jurassic Park endures as a modern classic, and Westworld is enjoying new life as a critically acclaimed HBO original series, most of Crichton’s sci-fi stumbled in the transition from page to screen. The screenplays often made sweeping changes to the stories and characters of the novels, the effects couldn’t keep up with the imaginative visuals described in the books, and talented actors were often stuck with clunky dialogue and ridiculous, nonsensical plots. Furthermore, while Crichton’s novels forced the reader to grapple with complex questions about humanity, cause and effect, communication, nature, and more, the movies rarely concerned themselves with such thoughtful reflection, retreating instead into spectacle and action and abandoning the very things that made the novels great. However, now that special effects technology has evolved and filmmakers are increasingly making riskier, more cerebral films, perhaps we are due for a Crichton renaissance. Hollywood is already keen on revisiting many of the films and TV shows of yesteryears, so taking another cinematic swing at a few of Crichton’s novels seems like a natural next step. Unlike the others on this list, the original Andromeda Strain film is actually not bad; it’s just dated. The Andromeda Strain is about a town where everyone dies mysteriously following a satellite crash, and the team of scientists sent to a secret underground lab figure out what happened to them. It’s a very tense, yet quiet story that is heavy on the science and light on the action. It was remade into a TV miniseries in 2008, but that version still wasn’t able to do this story justice. A new film version today would work well as a claustrophobic character study, with a script that adds a touch of humor and plays up the drama of the science, while still maintaining a sinister undercurrent. Think The Martian meets Ex Machina. Of the four novels on this list, Congo is by far the scariest, yet the movie version is completely ridiculous. The story of Congo follows an expedition into the jungle to search for diamonds and investigate the mysterious deaths of a previous expedition. They’re accompanied by a gorilla named Amy who communicates through sign language, along with her trainer, and it is quickly revealed that gorillas are also behind the death of the earlier party. 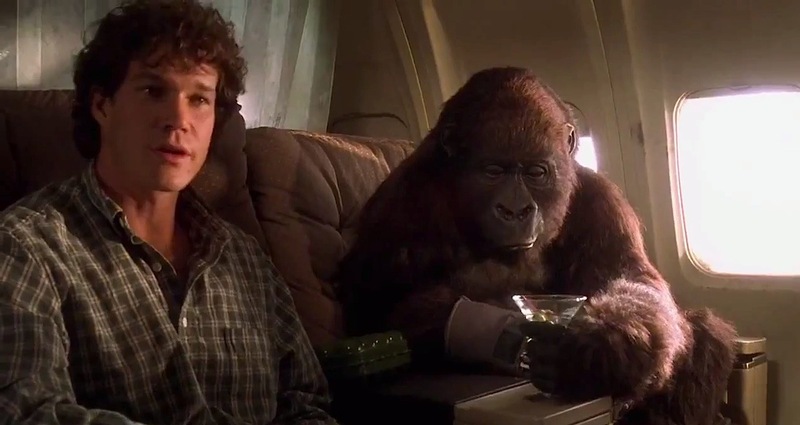 The problem with bringing this story to the screen is that it required a lot of gorillas to be filmed as fully developed characters, and the technology just wasn’t there yet. The ending result was comical and completely lacked the ominous, menacing tone of the book. However, as we have seen in recent years with films such as Kong: Skull Island and War for the Planet of the Apes, studios have gotten a lot better at using motion capture technology to create digital apes who can hold their own alongside human actors. Especially if it was adapted more toward the horror end of the sci-fi spectrum, today, a Congo movie has the potential to deliver all the creepy chills and outright terror of the book, while allowing the audience to form personal connections with both the human and non-human characters. 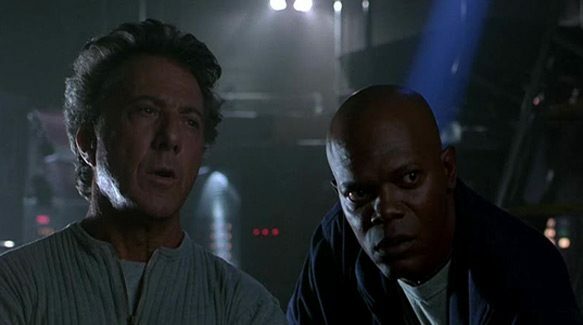 Possibly the most intellectual of the books on this list, the Sphere movie decided to veer away from the novel’s thoughtful ruminations on how we learn to communicate, and focused instead on weird special effects and jump scares. Similar to Jurassic Park, it leaned so far from the themes of the book that it’s practically unrecognizable as the same story, but unlike that film (arguably the best of all of Crichton’s adaptations), it forgot to put something coherent in its place. A modern Sphere remake would work well in the space previously occupied by films like Arrival and Interstellar: artfully crafted, thoughtful sci-fi that is more concerned with the questions it is posing to its audience than flashy moment-to-moment set pieces. Timeline is a super fun novel, a medieval adventure with a time travel twist. It follows a team of graduate students who follow their professor back to 14th century France after he vanishes without a trace, only to accidentally destroy their time machine and wind up stuck there themselves. The film version wasn’t quite sure what to do with that premise, and decided to turn it into a wacky historical action-romance that completely lost sight of the intellectual core of the story, which continually pitted the characters’ self interest against their responsibility to integrity of the timeline. A modern remake would need to lean into the philosophical questions inherent in the time travel premise while still playing up the historical action and intrigue. Think a medieval Outlander meets Looper, with a dash of Game of Thrones.